When I was a child, I was a picky eater. I would run away just by the sight of many vegetables. There are only very few vegetables that could grab me to the table to eat them. Imagine how hard it would have been to my Mom. Thank God Thaara is not like that. Potatoes were top on that list. I love potato in any form, fry it, boil it, mash it anything, in any way and with anything you serve the potato, will finish the whole meal without any complaints. Even now my love for potato hasn't changed. My Mom used to make potato podimas, which is my favorite of all. 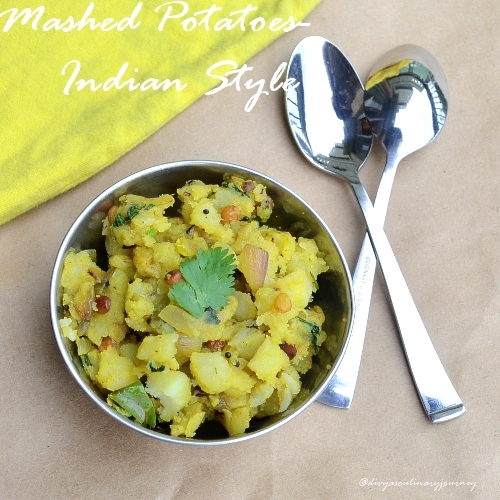 The aroma of garlic and ginger in each bite makes it more delicious, the bright yellow color of it with mustard and channa dhal jeweled on it with hints of greenery added by curry leaves and cilantro makes it visually appealing.. What a description for mashed potatoes? mmmmm.. Try this podimas then you will also sing their praise like me.. Boil the potatoes. Peel the skin and mash them well. Chop the onions,slit the green chillies, finely mince the garlic and grate the ginger. Heat the oil in a skillet, add the mustard seeds and when they crack add the channa dhal and fry for a minute and add onions, green chillies, curry leaves ,garlic , ginger and asafoetida. Saute for 2-3 minutes. Then add turmeric powder and cook for a minute, then add the mashed potatoes, salt to taste and mix them well. Remove from heat. Mix well and garnish with chopped cilantro. 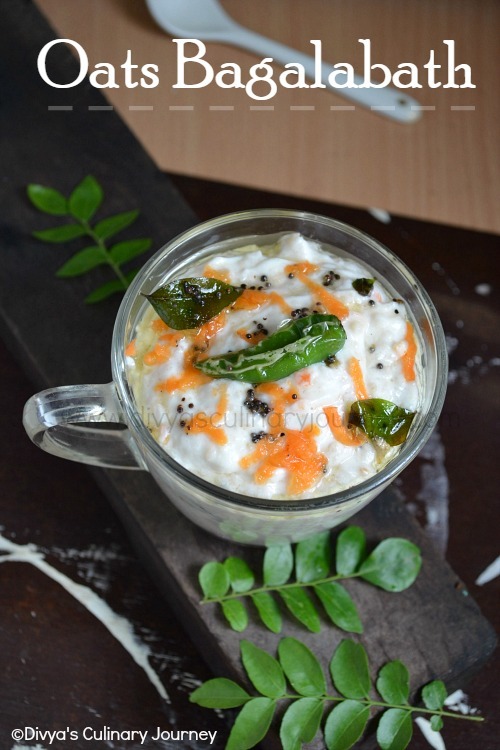 Serve with rice along with rasam or any spicy tangy gravy. Also it makes great combination with yogurt rice. If you don't prefer chana dhal, you can add urad dhal instead. Some add lemon juice, but my mom doesn' t add though. So if needed you can 2 tsp of lemon juice. Love this podimas...me too a potato lover.when I was a child me too run away by seeing the vegetables but love potatoes. my kids are doing the same and now I know how my mom would have been suffered. looks yummy..:)) Loved the flavors..
Who would say no to potatoes, must be tasty. Its our family favourite, simply love with hot steaming rasam rice. 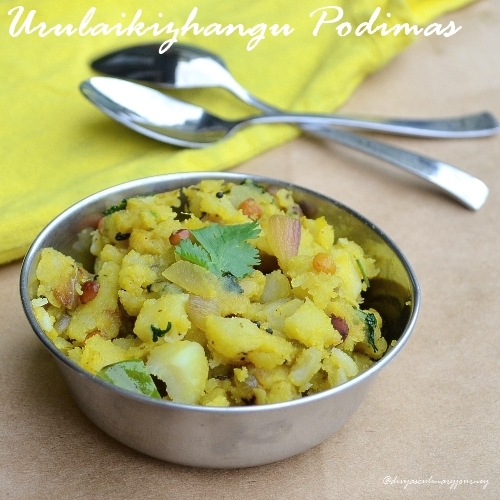 Divya , My husband and daughter does not like potatoes but whenever I make it is a mix of south indian style. I also add peanuts with chana daal. Try or you can see a recipe at my blog. superb clicks and best companions for sambar or rasam rice..hmm sounds yumm. Love this with puris...looks yumm! Great presentation and looks so yum! Thanks so much for stopping by and joining in my blog. Will be back to browse your other post. Mashed potatoes.. my comfort food! Nice twist with the tempering. Mysore Pak - for the Challenge! !